For my birthday a few days ago my husband and I spent the day in Carmel, an annual tradition. It was a beautiful summer-like day on the beach–in the middle of December. I donned warm layers preparing for a chilly day only to shed them as we walked the mile-long stretch of Carmel State Beach. There is a lull in tourist traffic this time of the month but it picks back up again at Christmas. Traditionally, my husband and I have stayed a night or two in town to celebrate my birthday but with other commitments keeping us home this visit ended up being a last-minute day trip that we enjoyed very much. We had reservations at one of our favorite restaurants in town, Grasing’s. Sunday brunch was being served and I opted for a light, satisfying lunch of crab cakes and a salad. It fueled our afternoon of shopping for holiday gifts before returning home in time for my birthday dinner at another favorite restaurant, this time closer to home. Evvia in Palo Alto is always busy and for good reason. 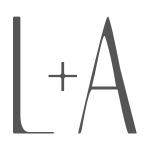 The Greek restaurant consistently serves excellent dishes with a nod to California and Mediterranean flavors. There are always at least three fish options on the menu along with a good selection of meat dishes. For my birthday I had my heart set on lamb chops, one of their specialties, and instead of a salad (their signature salad with romaine, radicchio, pine nuts, olives and feta dressing is a favorite) I went for a bowl of soupa avgolemono. The temperatures had dropped by eight o’clock and a bowl of creamy egg-lemon soup sounded like a good start to a hearty meal ahead. Literally translated, avgolemono means egg-lemon and before becoming familiar with the Greek soup, I thought it was a name designated specifically for the soup. Avgolemono is actually a sauce simply made with a mixture of eggs (sometimes whole and sometimes just the yolks), fresh lemon juice and whatever liquid the sauce is being used in. 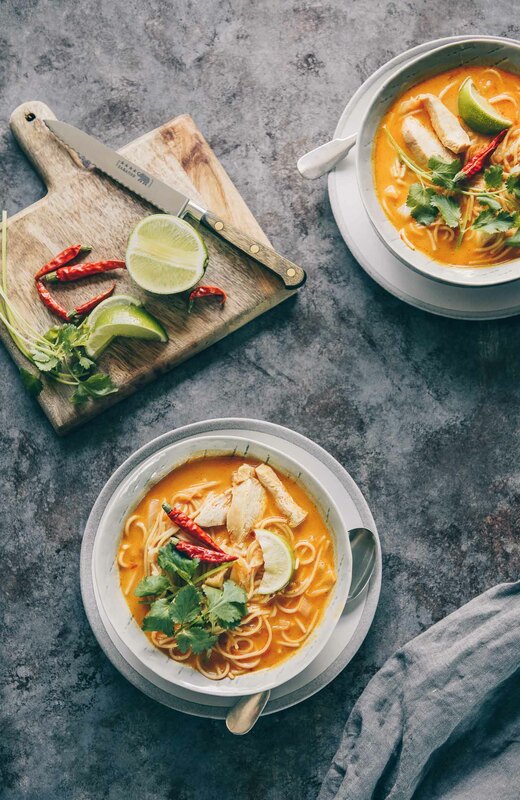 While there are many variations for avgolemono soup (beef and fish are also used as a base) the most popular combination is chicken broth with rice (or orzo). Evvia’s version sticks to tradition–creamy from the well-beaten eggs with a healthy dose of lemon juice; very pleasing to the palate. The soup is very easy to make at home. All you need is chicken stock/broth, a little rice, eggs and lemons. The key is in the avgolemono sauce itself. You need to beat the eggs in a bowl for a couple of minutes until they’re pale yellow. The fresh lemon juice is slowly drizzled into the eggs while you continue to beat the eggs. When the stock has been heated in the pot you temper the egg-lemon mixture by adding a little of the broth (which the rice has cooked in) before it is added to the rest of the soup. 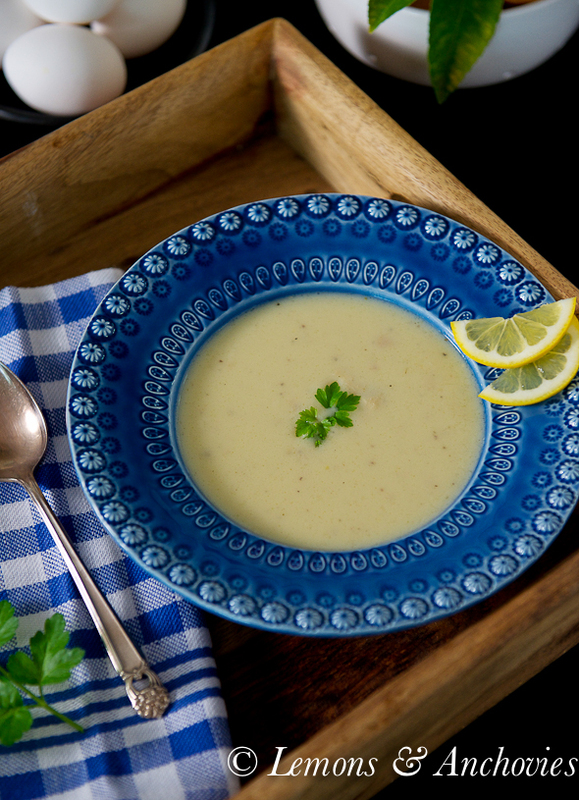 The result is a creamy, lemony, light soup that will satisfy on any cold winter night. 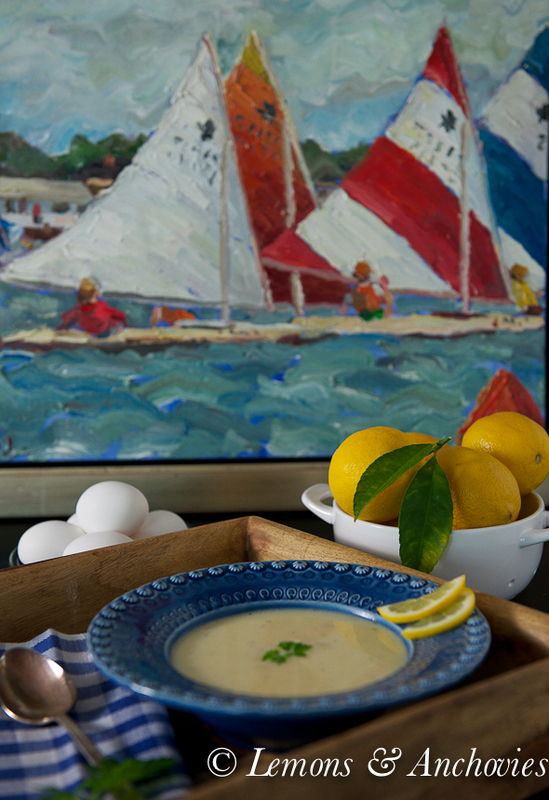 Avgolemono Soup, made with egg and lemons, is simple and satisfying on a cold winter day. To prepare the sauce: crack two eggs into a large bowl and beat (or whisk) the eggs for two minutes. The eggs should be well mixed. Drizzle in the lemon juice while continuing to beat the eggs. After beating for one more minute the egg-lemon mixture should be pale yellow and just slightly thickened. Set aside. To prepare the soup: Bring the chicken broth to a boil in a pot. Stir in the rice until the broth comes back to a boil. Reduce heat to simmer, cover and cook for 12-14 minutes, until the rice is just cooked but not mushy. Turn off the heat. Take roughly one cup of the broth and slowly add to the egg-lemon mixture while you whisking. Be careful not to add the broth all at once so the eggs don't get scrambled. Once the egg-lemon mixture is tempered, pour it into the pot with the rest of the broth. 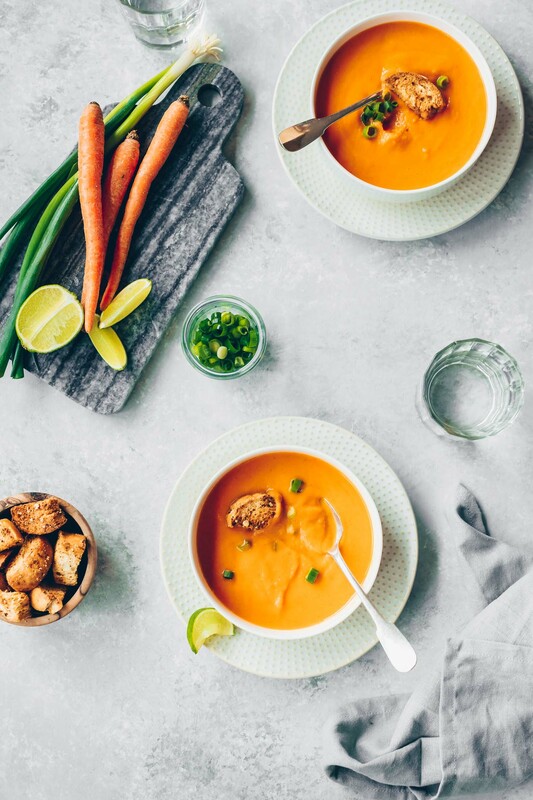 Turn the heat on to medium-low and stir the soup with a wooden spoon until the avgolemono has been incorporated into the soup--it should be thicken and have a light-creamy texture. Season with salt to taste. Serve in bowls and garnish with your favorite herb. 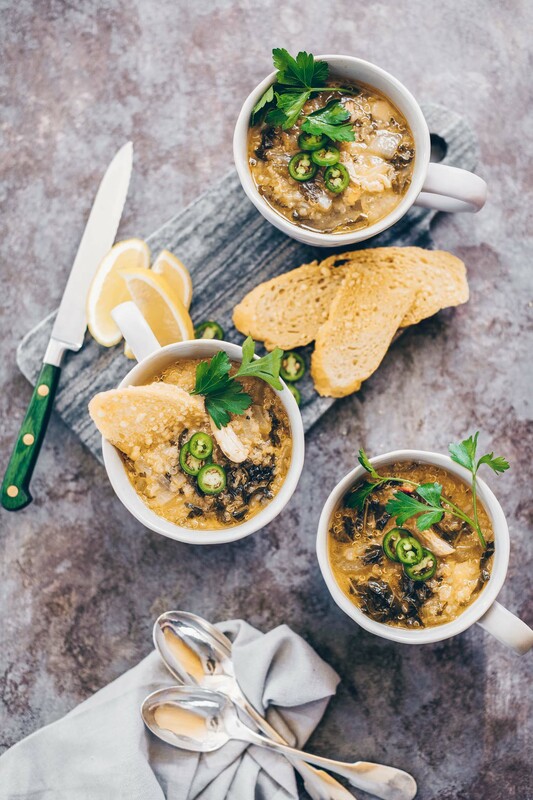 My ripe Meyer lemons would be perfect in this soup, I love the Greek flavors! Sounds like you had a wonderful birthday celebration! 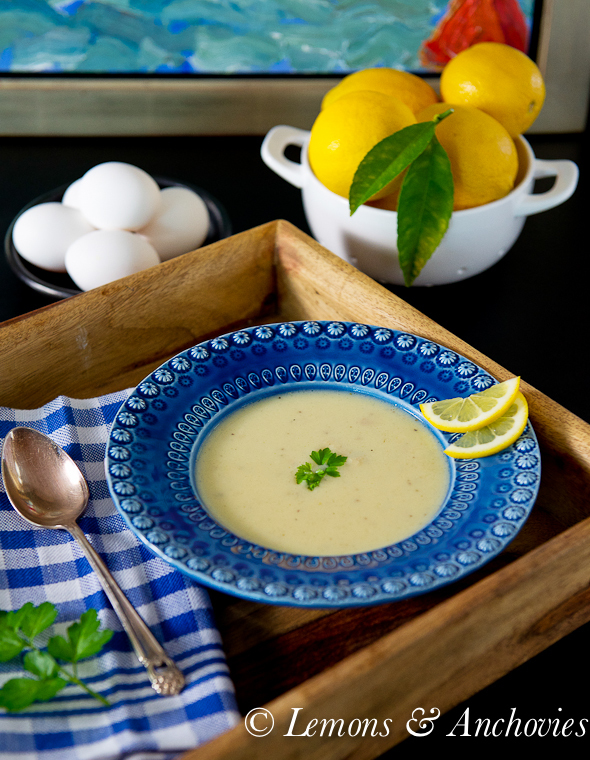 Avgolemono has been my go to soup when I feel sick for more than five decades. LOVE it. What a perfect first class, first course soup Jean. I love the flavors. I’d probably eat it for a whole meal too with a nice loaf of crusty bread. YUM! I love this soup! Your recipe is so simple that I must try this over my holiday vacation! I just wish I had a bowl of it right now since it is chilly outside! A delightful soup and speciality. Merry Christmas and best wishes for 2014! Merry Christmas to you, Rosa!! !